You’re on trial for a crime you didn’t commit, but it seems no one is ready to believe you. The only way to clear your name is to solve the mystery yourself without getting caught or killed. This book isn’t like others you may have read – inside you make the choices. 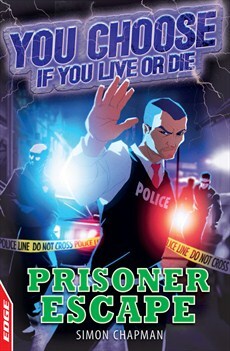 Can you escape from the police? Can you survive long enough to solve the crime? Only you can decide if you live or die inside!